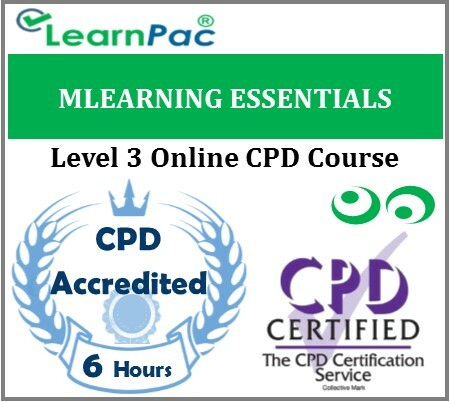 With our mLearning online training course, you will begin to see the importance and usefulness of mLearning in any organization. By absorbing the ins and outs of utilizing mLearning, participants will possess the skills needed to take advantage of this new technology, in order to educate employees and clients more efficiently. The term ‘electronic learning’ was abbreviated to ‘eLearning’ to make it a bit sexier. In much the same way, ‘mLearning’ is the more attractive term for ‘mobile learning’. Mobile devices have become deeply engrained in our everyday lives. From reading to schedule management to entertainment to GPS, it is The Multi-Purpose Gadget in our lives and some have even said to suffer from the “phantom limb” syndrome without it! Mobile Learning, or mLearning for short, lets learners learn and get performance support via their mobile devices. This comprehensive e-learning course introduces to you the unique features of mLearning, what it can be used for and the difference between mLearning and traditional eLearning.